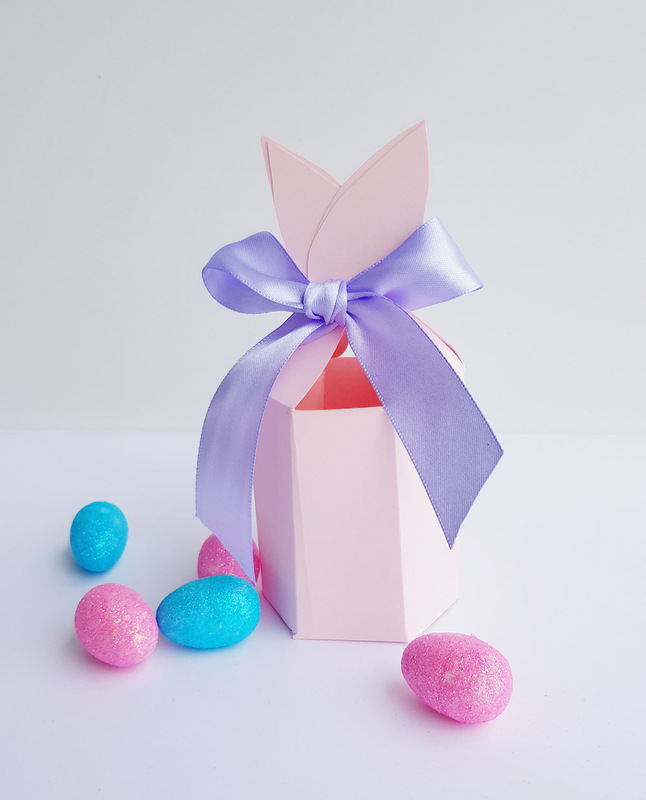 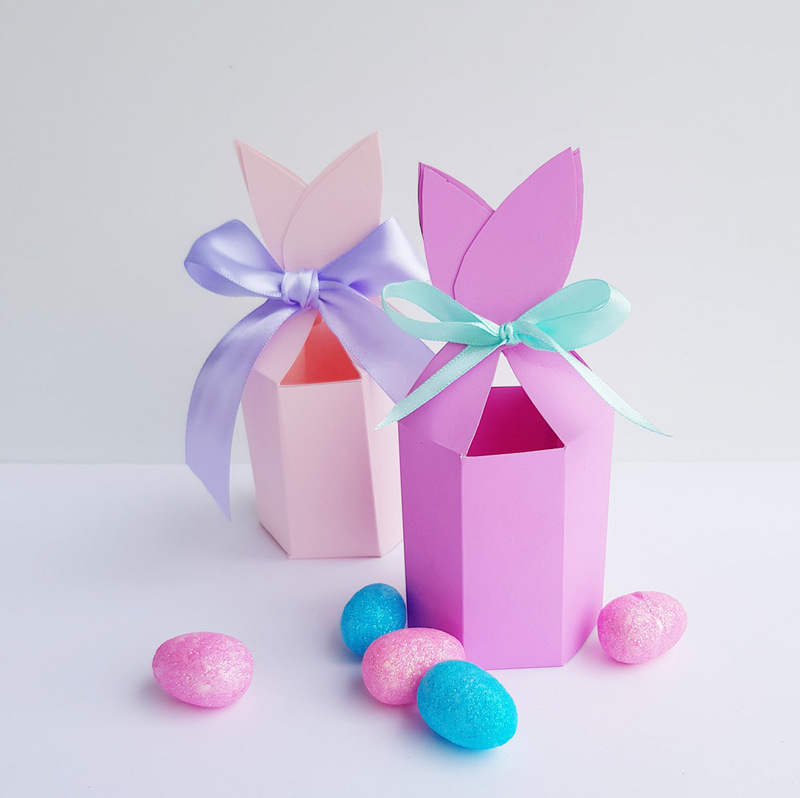 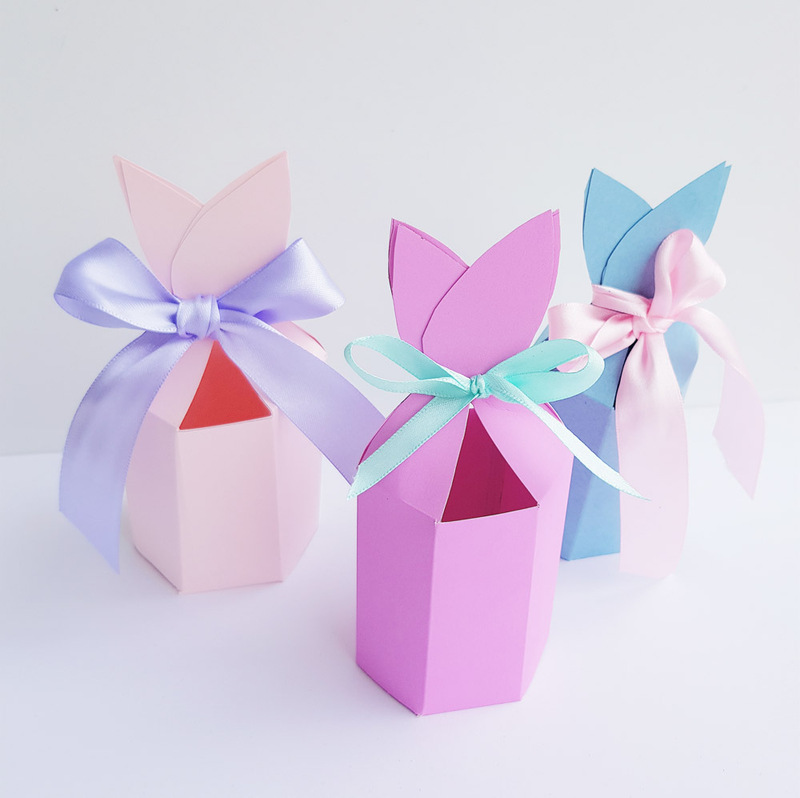 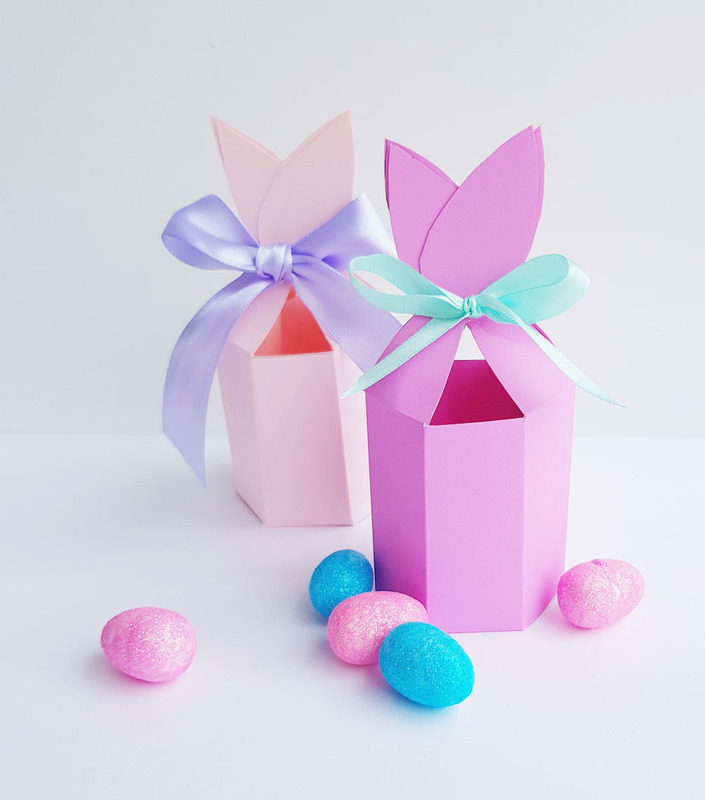 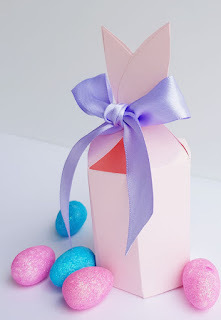 This treat boxes would look adorable on a table setting for each Easter party guest or the perfect size for small gifts for the kids school friends, teacher or work colleagues. 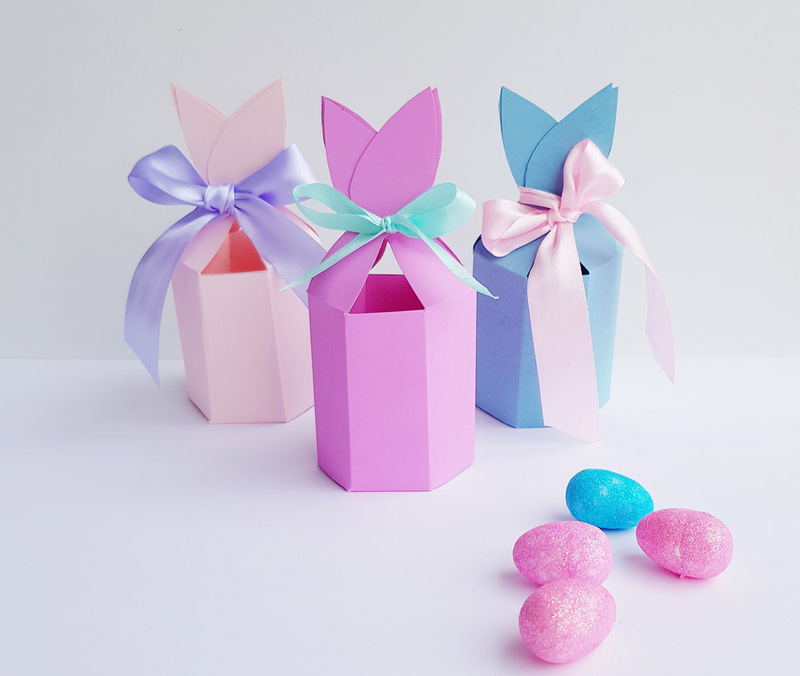 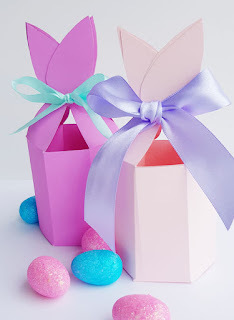 Also a easy craft project for school activities at Easter time. 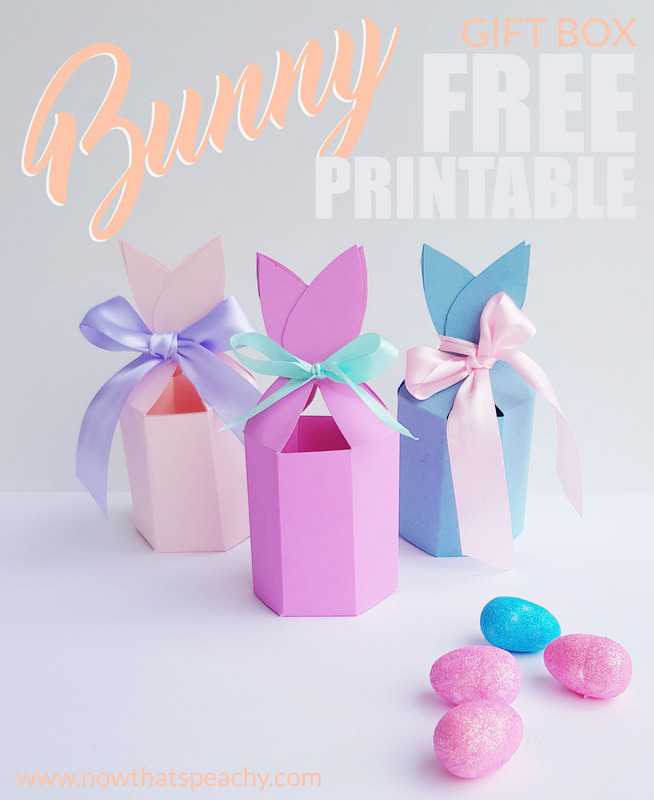 Print on any colour cardstock or print one on plain paper and use as template to trace around on your cardboard or printed scrapbooking paper stuck to cardboard. 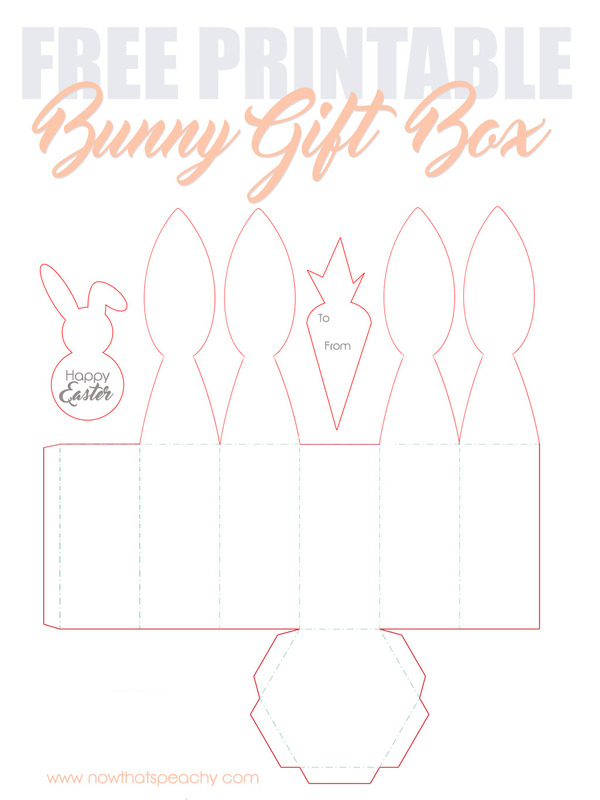 Let's be honest this rabbit shape will look super cute whichever colour or print you choose!